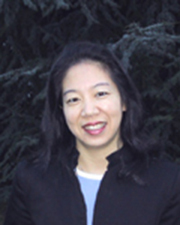 Dr. Wong’s research examines the organization and delivery of health care services within the context of primary health care. A recognized leader in research involving patient-reported quality of care, her work contributes to informing practice and system level interventions that seek to decrease health inequalities among Canadian residents, including people who face multiple disadvantages in accessing and using the health care system such as those who have language barriers and live in poverty. Her long-standing commitment to research has significantly contributed to further understanding and application of primary health care in helping to reduce health and health care inequalities. Research lead, BC Primary Health Care Research Network, one of the Strategy for Patient Oriented Research Primary and Integrated Health Care Innovation Network nodes. The BC PHCRN aims to seek out, develop, and facilitate adoption of health care innovations to improve BC’s health care delivery system (spor-bcphcrn.ca). Co-Director, BC node of the Canadian Primary Care Sentinel Surveillance Network (spor-bcphcrn.ca/bc-cpcssn/). The Canadian Primary Care Sentinel Surveillance Network (CPCSSN) is a pan-Canadian multi-disease electronic medical record surveillance system that makes it possible to securely collect and report on vital information from Canadians’ health records to improve the way chronic diseases are managed. NAPCRG (North American Primary Care Research Group) PEARL on: Continuity of Care: Does Having the Same Primary Care Provider Over Time Matter?, NAPCRG (February 2015).